GB beat Ireland 39-26 to secure 11th place at the 2017 Emerging Nations Championship in Gabrovo, Bulgaria. 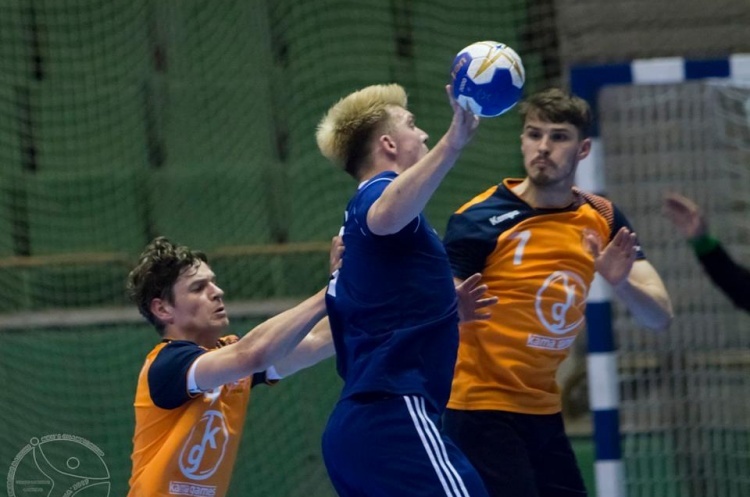 Just 24 hours after their painful penalty-shoot out defeat to Moldova in the placement semi-final, GB took the court again determined to end the tournament on a win. They were buoyed by the news that David Klaening, who missed the Moldova match with a shin injury, was fit again. Ireland made the better start and led 4-2 after seven minutes. However, GB hit back with a five-goal run to lead 7-4 . Another goal flourish late in the first half saw GB stamp their authority on the game, going into the break 20-12 up. The second half started with another GB goal run as Ireland struggled to find solutions against their opponent’s deep defence. GB had established a commanding 32-15 lead by the mid-point of the second period. That lead was 37-20 with five minutes remaining, and Head Coach Ricardo Vasconcelos took the opportunity to turn to the bench. Ireland struck back with some late goals to close the deficit, but GB ran out comfortable 39-26 winners. Ryan Goodwin top scored for GB with seven penalties, while Ben Tyler scored an impressive six from seven shots. In goal Alex Bradley made 15 saves, with a 45% save rate.